Good News! New Library IT system coming soon! As announced in our last newsletter we are making changes to the IT that manages our library catalogue and borrower accounts. The new system should make using your library account faster and easier. Unfortunately there is going to be some disruption as we make the switch from the old system to the new at the beginning of March. There will be one week, beginning 4 March, when you will be unable to access your account – we will make sure no books are due for return in this week. You will still be able to do basic library transactions in the libraries, borrowing and returning your books, but there will be no access to the catalogue for searching or reserving and you will not be able to view your loans online. If you are planning to search for books to take on a trip or for another particular reason it’s a good idea to do it before this week! Joining the library will also be more time consuming this week, so if you are not a library member already joining now is a good plan. If you have never used our elibrary service you will not be able to sign up as a new user during this week in March – so sign up now! (Existing users will still be able to access the elibrary). If you use our computers you will still be able to do so, but do make sure you know your card number and pin as we will not be able to look them up for you between 4-10 March. If you have not used our computers before we will not be able to sign you up to use them for the first time in this period. By the 11 March the new system should be up and running and our full range of services available again. Other than be aware of the disruption period there is nothing our library users need to do to prepare for the change. Your library card and pin numbers will remain the same and you won’t need a new card. If you use our app please continue to do so, you will be sent a prompt to download the new version once it is ready and should continue as usual until this is received. 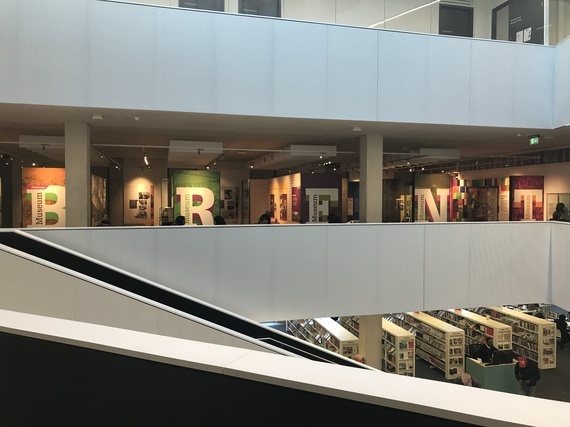 You will still be able to access the catalogue via the Brent Libraries pages on the Brent website, but if you have saved a direct link to the catalogue in your favourites you will need to update this after the transition. We really hope you like the new system and that the disruption will be minimal for our customers. Thank you for your patience while we make these improvements to our services. Last month Willesden Sports Centre relaunched their Primary Swimming Gala. After a four year gap this popular event is now back thanks to sponsorship from 1Life and support from Brent Sports Partnership. Bringing back the annual gala is part of Willesden Sport Centre’s drive, working with local schools, to ensure all primary school leavers are able to swim at least 25 meters. This year’s event was enjoyed by pupils from Byron Court, Princess Frederica, Islamia, Uxendon Manor, Salusbury and John Keble Primary Schools and Malorees Junior School. Malorees emerged as the worthy champions! Next year Willesden Sports Centre is hoping even more schools sign up to take part. Swimming is an important life skill as well as being a fantastic way to exercise. If you want to get your kids in the pool you don’t have to wait for next year’s gala of course, just ask at Willesden Sports Centre or Vale Farm Leisure Centre about swimming lessons or other swimming promotions for youngsters such as their free school holiday swimming sessions. The 14th February this year won’t just be about celebrating love and romance, we’ll also be marking the 125th birthday of Harlesden Library! Please join us in the library on this day as we will be celebrating with events…and cake! 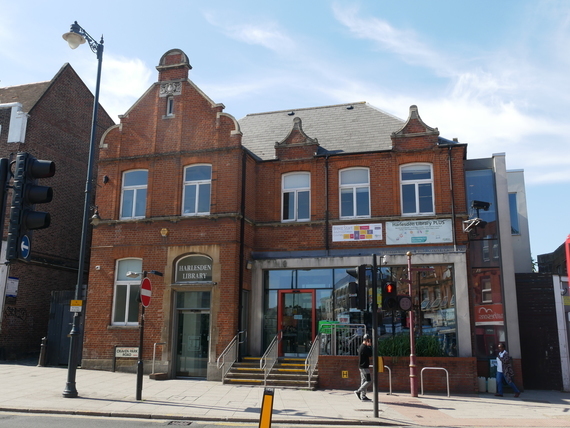 We are planning a special under 5’s rhyme time 10.30-11am (to include a rousing rendition of “Happy Birthday to you…” for the building), from 11am we will be looking at the history of Harlesden Library and showing old photos from our archives, at 2.45pm we will have our cake cutting ceremony, 3.30-5pm we will have special birthday craft for children and families. Do pop in to say hello and to wish our library many happy returns. • We will be making puppets at our Family Learning sessions this week. Details can be found on our online events calendar or by picking up a brochure in your local library. If you haven’t already completed our survey please don’t forget do have your say. The survey is open until 18 February and we want to hear from as many people as possible to help us plan our future services (even if you have never been to our museum or archives we would like to hear from you). Please click here to complete our short survey.